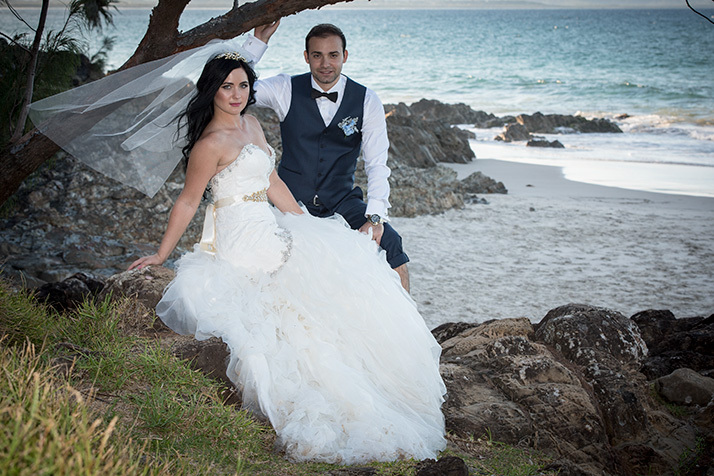 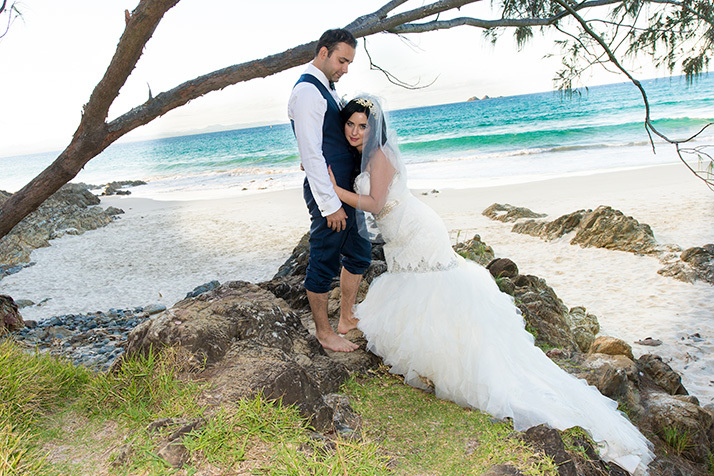 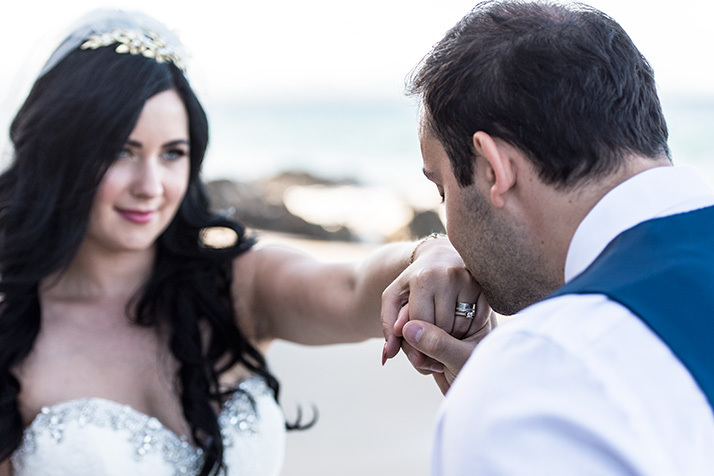 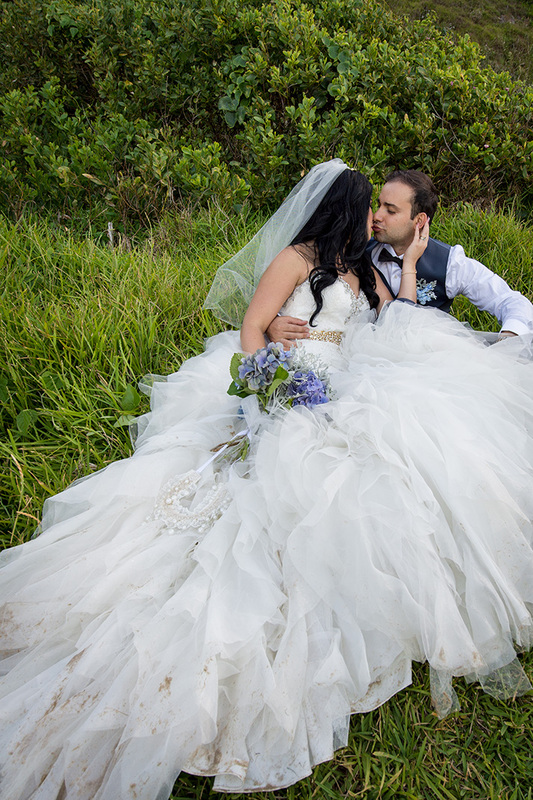 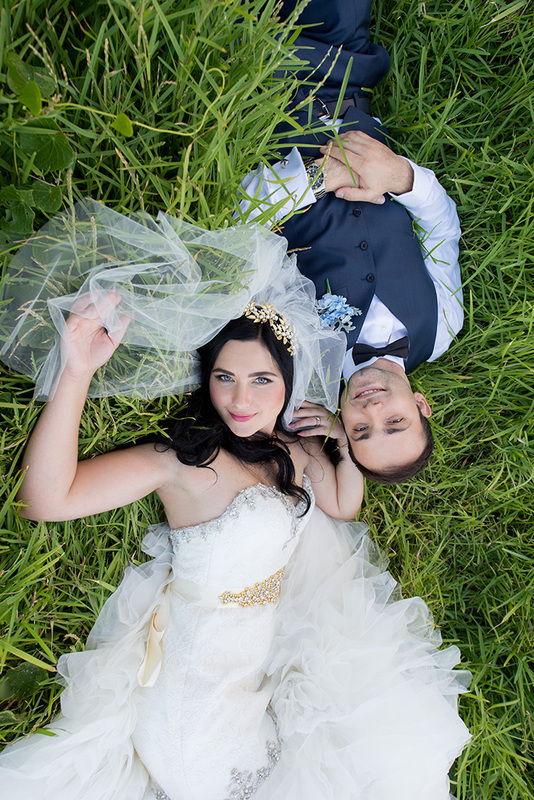 Byron Bay Destination Wedding – Eloping Turkish style! 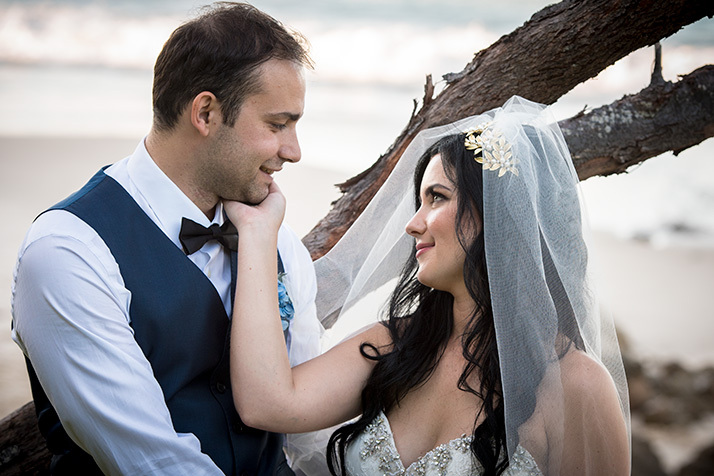 In addition to beautifully attired bride and groom, we helped set up a Persian mat, Turkish wedding bells etc, to adorn the beach ceremony at Wategos. 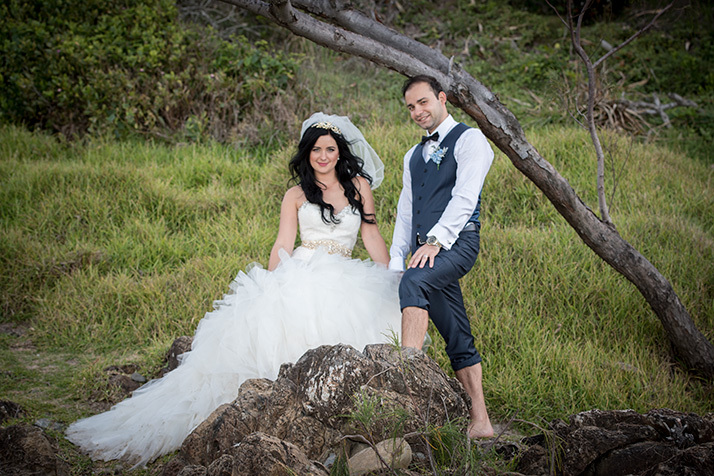 Little did we know that a small tidal wave was to invade the set up and almost wash everything away and cause the witnesses scamper for high ground. 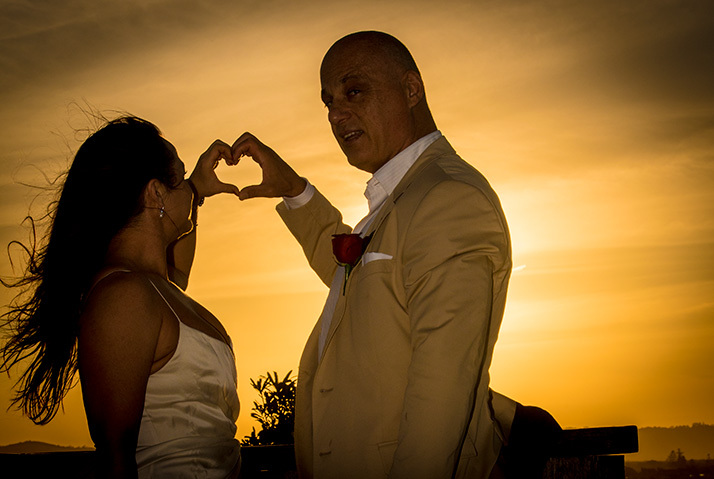 Of course this occurred just as Jacqui the Champagne Celebrant, announced that Hakan could now kiss his beautiful bride. 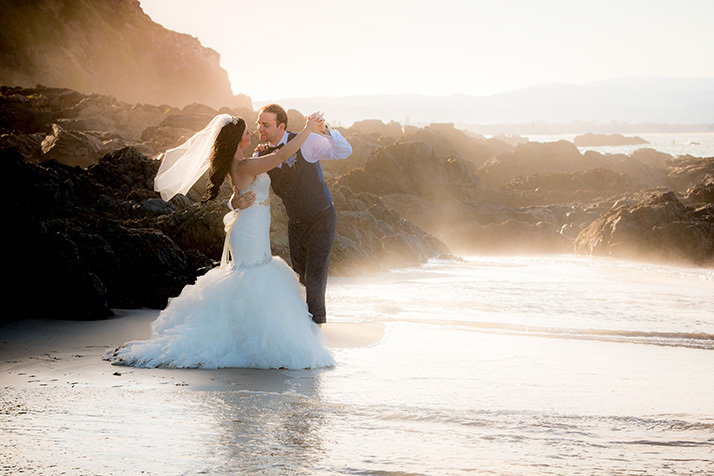 The kiss was put on hold as we scurried to rescue the floating aisle. 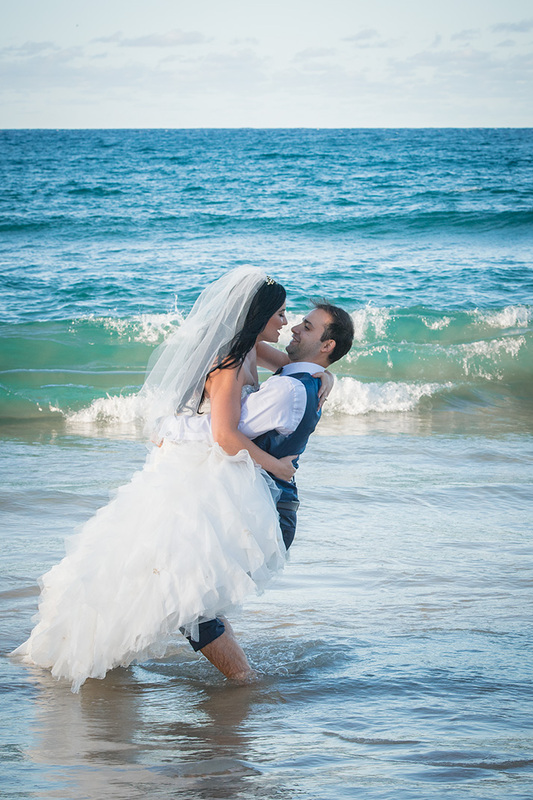 Hakan then swept up his bride for a kiss and all was back to the way it was except a bit higher up the beach.